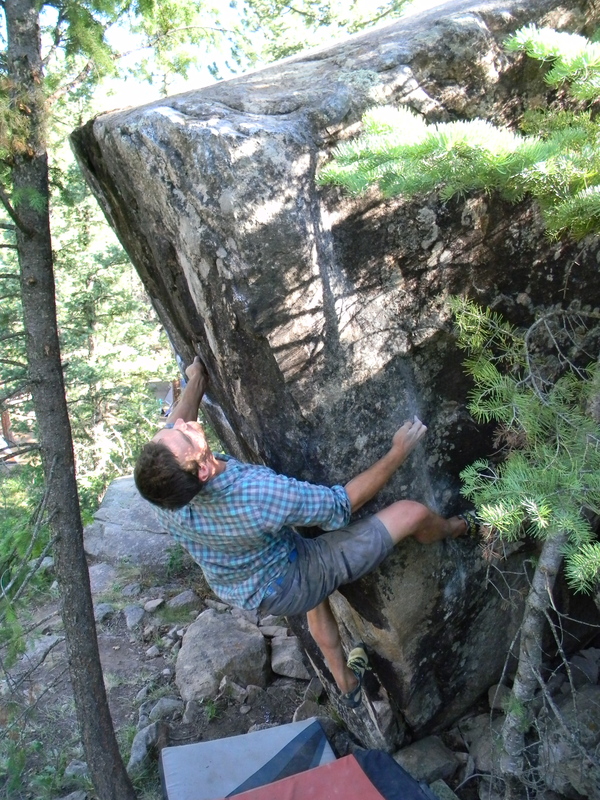 Gentle Ben Griffin Stompin' The Northwest Arete. There are some good lines, and ok ones. also, there are lots of good warm ups on the cliffs surrounding boulder. 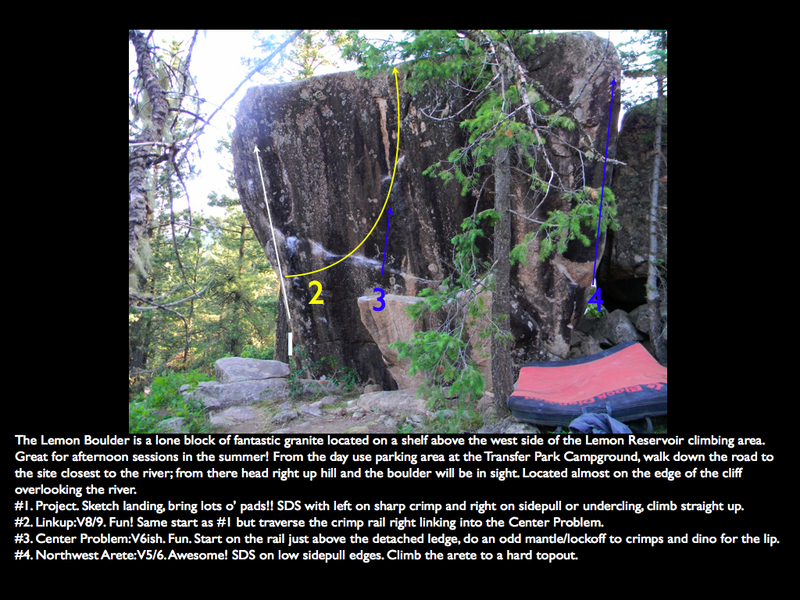 -Right Arete, v3 to lip, v5 to mantle, start on good right crimp and left nubin. use slopers and underclings to grab the lip, then do the best beached wale you can and try not to slide back down (i’ve fallen of the damn beach four or five times). -middle line (aka fat frog or something like that) v6, start on left of ledge and mantle to two tiny crimps then jump for yer life. -Fat Dog (although i dont think thats its original name, but thats what das book says) v8/9 book says 10, start on left crimp and right sidepull or undercling, heel up and reach for the edge. if you cant figure out the beta from there your screwed on this problem, sorry. -Left arete, project, same as Fat dog but go up through Gastons and horrible crimps. Richie is right, those are not the original names and there pretty lame as well, so lets not let them stick! If nobody knows the orig’ names I say we have a renaming party and come up with something go cuz these prob’s deserve it! It’s not really conrifmed. 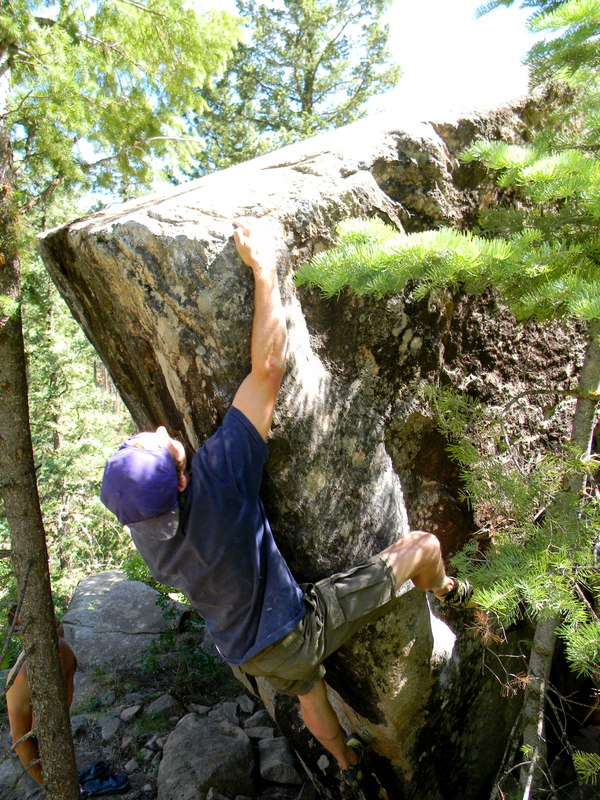 There wasn’t a move on the climb which was V16, the hardest was V15. 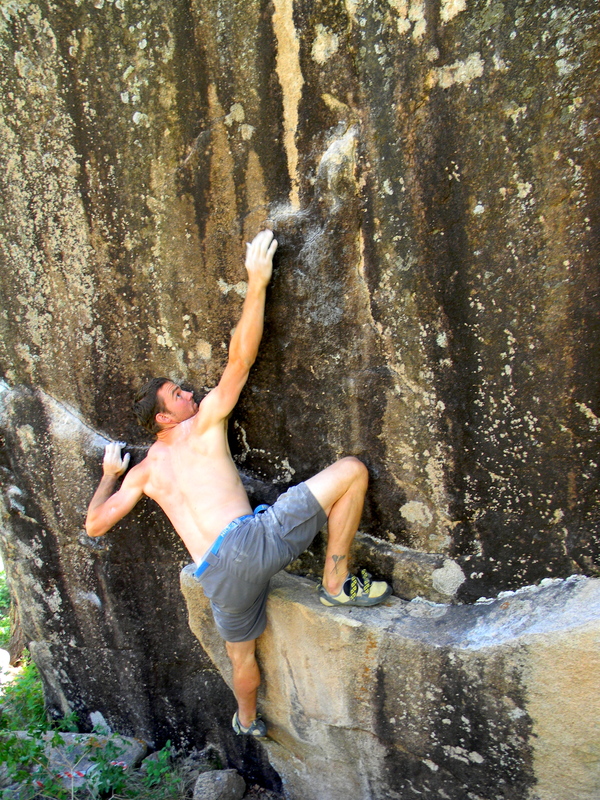 But due to the ridiculous length it was given the grade of V16 when many feel that a route grade is more appropriate. The game was given the grade of V16 because it’s incredibly difficult, not because it’s incredibly long and so I feel is a true V16.I’ve climbed with Chris as well, he’s a great guy but not a v16 climber in my opinion. I think we should probably call the middle problem “leap frog”.